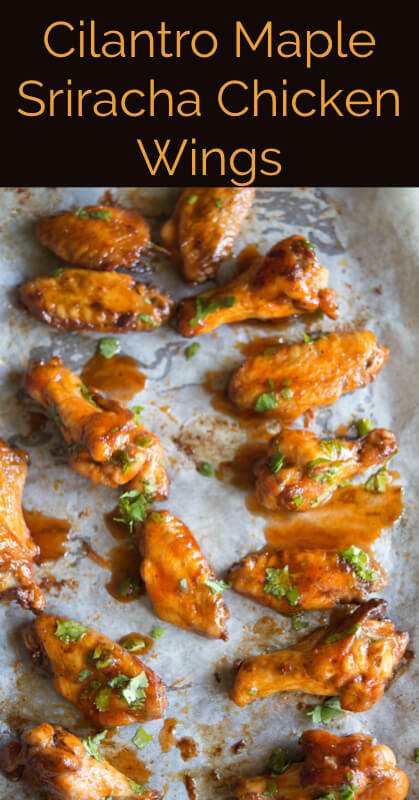 When I was making this chicken wings recipe, I had them all cooked and ready sitting on a platter on my kitchen island. I called the family to dinner as I finished up the simple salad we make almost every night. My back was turned and all I heard my husband say was ‘Holy cow! These are amazing.' I turned around and saw he had grabbed a taste of these sriracha chicken wings before my daughter was in the kitchen. And you know what? He is right! These are amazing! I LOVE spice. When I eat at Thai restaurants, I want the spiciest level! Bring it on. My husband and daughter, however have milder taste buds. This recipe pleased all of us. It was satisfyingly spicy for me but sweet enough for them. My daughter did ask for a big glass of whole milk while we were eating to help with the mild spicy sensation! I have made this recipe now 3 times. 1st time I made it as directed. The next two times I used chicken legs and bone in chicken breasts (it was what we had in our freezer). All 3 versions were amazing and if you have leftovers…wow! They are good cold straight out of the fridge. My husband has plans this summer to smoke the wings in his Green Egg and then coat them with this yummy sauce!! 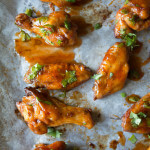 This chicken wings recipe is from my friend Carol Lovett's new cookbook Ditch the Wheat. I have had such fun experimenting with her recipes! This book has over 120 paleo-friendly recipes that are perfect for anyone looking to change their diet or just mix up their current meal plans! What I love about Ditch the Wheat is that is contains more than just recipes. Carol includes gorgeous pictures and tutorials for making a variety of grain-free items: grain-free pasta, salad dressings, how to cut up a whole chicken and more!! In a small bowl, combine the garlic powder, paprika, salt, cayenne, ginger powder, and black pepper. Place the chicken wing pieces in a large bowl. Pour the olive oil over the wings, then sprinkle them with the spice blend. Place the wings on the lined baking sheet and bake for 35 minutes, or until they are no longer pink inside and the juices run clear, flipping once. 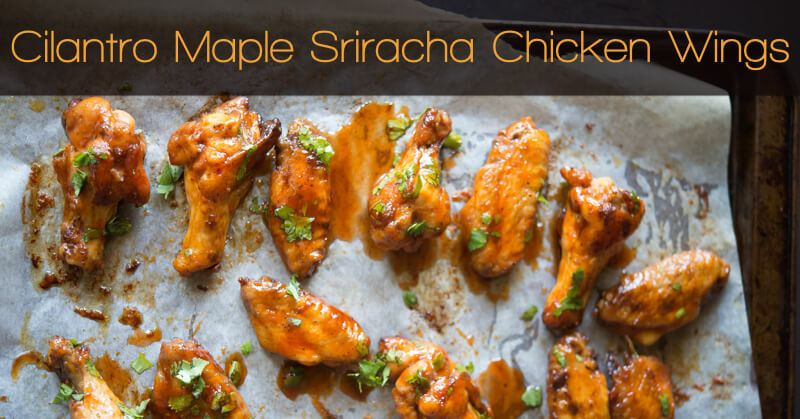 Whisk together the Sriracha sauce and maple syrup in a small bowl. Place the cooked wings in a separate bowl. Pour the sauce over the wings and toss to evenly coat. Sprinkle the wings with the cilantro and serve. Looking for another interesting wing idea? Try these Asian Style Hot Wings!